A 6.5 inch subtly hued grouted rustic paver with 2 inch textural band. Cool white ground with random taupe, gray and blue chips in a design suitable for today’s kitchen or bath. 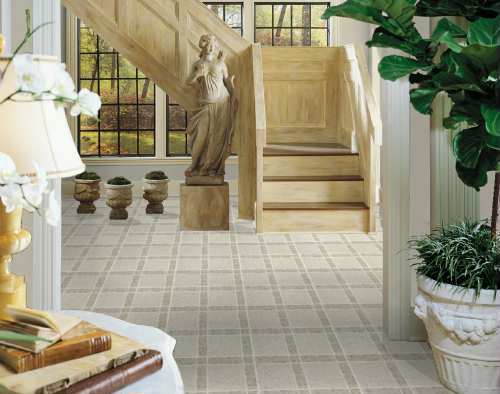 An Inlaid Color floor featuring the patented CleanSweep no-wax wear surface, and a 15-year limited warranty. Available only in 6 foot width.